Anonymous channels are necessary for a multitude of privacy-protecting protocols. Onion routing is probably the best known way to achieve anonymity in practice. 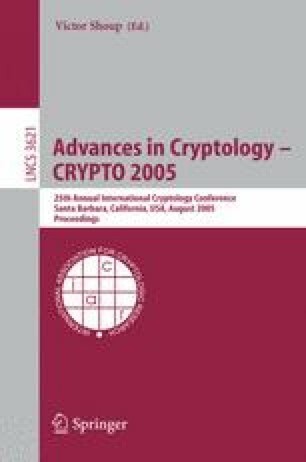 However, the cryptographic aspects of onion routing have not been sufficiently explored: no satisfactory definitions of security have been given, and existing constructions have only had ad-hoc security analysis for the most part. We provide a formal definition of onion-routing in the universally composable framework, and also discover a simpler definition (similar to CCA2 security for encryption) that implies security in the UC framework. We then exhibit an efficient and easy to implement construction of an onion routing scheme satisfying this definition.